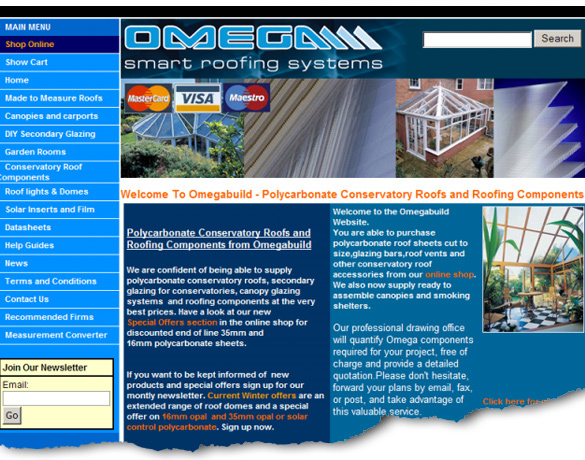 The client approached us with a view to improving their search engine rankings in Google for their website for their Polycarbonate conservatory roofs and roofing components website. After reviewing the site the client provided us with a list of search terms, which we then targeted for their website. After updating and optimising the Omega Build website we started working on a vigorous backward links campaign for the site, also resubmitting the website to all the main search engines and directories. The site needed numerous backward links set up for it to improve it's backward link poularity.